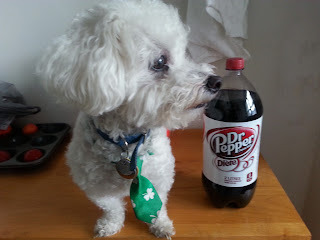 My little Dexter is standing guard over the bottle of Diet Dr Pepper® I bought home from Walmart today. I think he's hoping we are the winners of the $5000 Walmart e-Gift Card in the Sweet Spring social contest - so we can buy him lots of dog treats!! Oh, Dexter wants me to remind you that you can upload receipts every single day until April 30, 2016 for additional chances to win! And he says to make sure you tell all your friends about this great contest! OK, I know why Dexter loves Diet Dr Pepper® - he has an ulterior motive of hoping to win and get lots of dog treats - but what about you? Why do you love Diet Dr Pepper®? 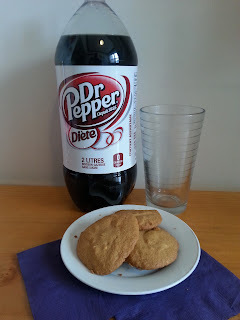 I think Diet Dr Pepper® could be a great compliment to my Low Carb/High Protein diet cookies! Everyone deserves a sweet reward every now and then. Yes, even you! 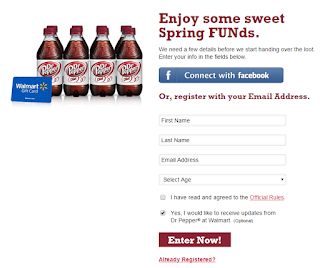 Give yourself the sweet reward of Diet Dr Pepper® and enter to win a chunk of the Sweet Spring FUNd - $5, $50, $500, or $5,000 Walmart e-Gift Card! So sign up today, so you can play this sweet scratch off game for YOUR chance to instantly win a $5 Walmart eGift Card. 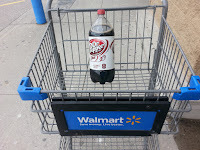 Then, simply upload your Walmart receipt showing purchase of any Diet Dr Pepper® item for chance to win a $50, $500, or $5000 Walmart e-Gift Card! Remember to upload receipts every single day in April for additional chances to win! And here's another tip! If you spend more than $10 in a single receipt, you will get TWO (2) sweepstakes entries! So... how do you play?? Sign up with your Facebook account or email address here. Once you have registered your account, you immediately get a chance to enter and instantly win a $5 Walmart eGift Card. Check out the Scratch and Play game to discover if you are a winner! 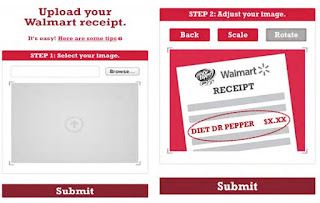 Then, upload your Walmart sales receipt..
Once your receipt has been successfully uploaded, you will receive an email confirming your entry for a chance to win! If you are a winner, you will receive an email around May 9 with the good news and prize details!